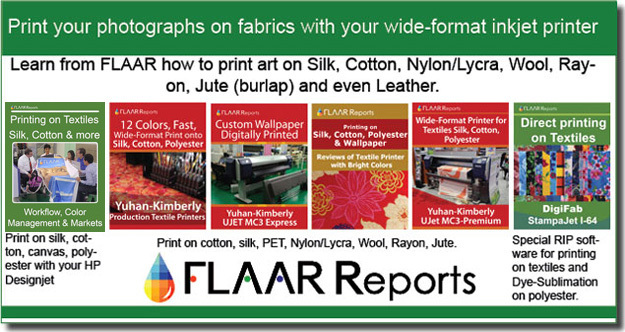 FLAAR evaluates the Canon Digital Rebel 35mm digital camera and compares with Nikon D100 and Nikon D70. Honest review of Canon Digital Rebel tells the true pros and cons of this popular Canon 35mm SLR camera. Our evaluation of the Canon Digital Rebel was available (2005), as part of Nicholas Hellmuth’s course on digital photography. This evaluation includes the blunt results of Tim Brown’s use of the Canon Digital Rebel. Frankly we were surprised, considering that virtually everyone we ask around here has one: professors, students… This is one of the most popular cameras of all times. We are not paid by Canon Inc.
We are not paid by any reseller of Canon cameras. No one is paying us a commission on the sale of a Canon, or any other digital cameras. Plus, we have experience with lots of other digital cameras (as you can see from the equipment in the photo here). 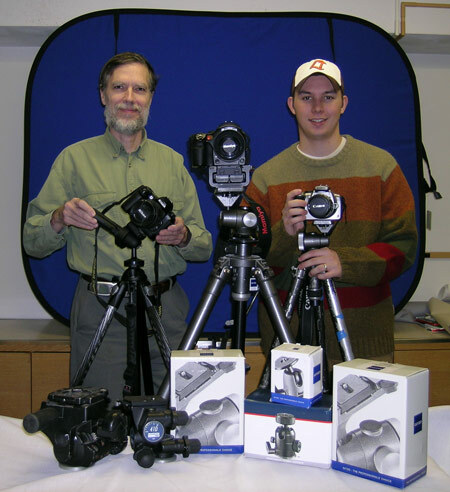 Here is Nicholas and Tim with samples of the cameras they have available. You can add a Kodak SLR/n and Nikon D70. All our evaluations are based on real people using actual cameras in real situations. Most recently updated June 14, 2005. First posted Jan 5, 2005.